Stingray Sam is holding a gig at a lounge on the planet of Mars. Actually he is laying low as he still has a debt to society that he has to repay thanks to some dodgey interplanetary trade and commerce. One night a stranger sits at the bar helping himself greedly to the olives. Lo and behold it is The Quasar Kid and hes come to ask Stingray Sam for his help to rescue a little girl who has been taken away from her dad. If they do this their debt will be considered paid in full and they will be free men. What will Stingray Sam do? Find out in these six episodes of Stingray Sam! The creative genius behind cult favorite 2001's The American Astronaut returns after a far too long hiatus from filmmaking with the serial series Stingray Sam. Still shaking interplanetary dust off his boots Stingray Sam creator and director Cory McAbee returns with his lo fi black and white style, albeit a spitshine more polished than its predecessor. Combining space travel, cowboys and rock n' roll music McAbee's vision stands unique, creative and entertaining to boot! Hilariously funny, and spoken with an ilk that only McAbee can give, this collection of serial episodes are a real treat. Speaking of... erm... speaking. One of the most distinct voices in Hollywood lent his vocal talents to the production. Actor David Hyde Pierce narrates the adventures of Stingray Sam and gives the viewer a complete and thorough tour of the universe through which Sam and his partner The Quasar Kid must navigate. Part of the fun is just listening to him talk and McBee wrote awesome material for him to work with. One of the joys of watching any project of Cory's projects is the music by him and his band The Bill Nayer Show. We get the delicious treat of listening to ones of their songs- ranging from Leviticul lineage to lullabies- each episode. Crugie from the band, who plays The Quasar Kid, has the only other song in the project. 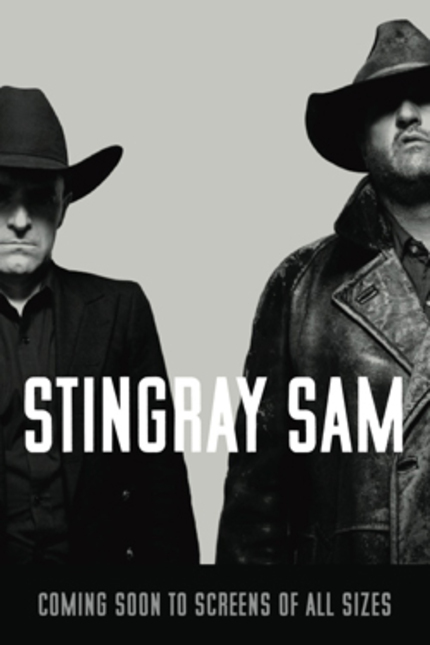 STINGRAY SAM DVD And Soundtrack Giveaway! Loved this loved this loved this. And that special edition DVD WILL BE MINE !